There's no magic in losing weight: while you consume fewer calories than you spend, you lose weight. If you have not changed the diet in any way and continue to overeat, do not expect that the kilograms will start to go away. Nutrition provides 80% success in the matter of losing weight, so you will have to completely revise the menu. The most effective way is to count calories. 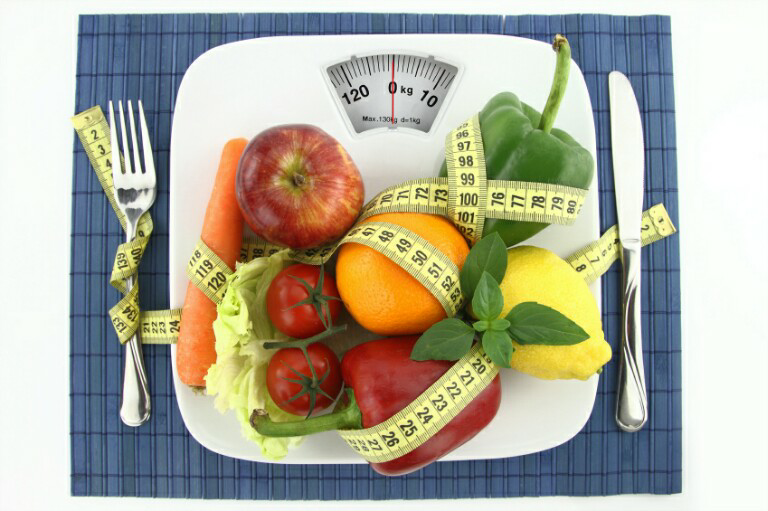 This will allow you to monitor the dynamics of weight changes and adjust the diet to your needs. You regularly count calories and wait, when the scales begin to show less weight, but this does not happen. Probably, you are mistaken in calculations. First, most people downplay the calorie intake. Experiments show that subjects do not indicate honestly how much and what they ate, even if they know that they will be rechecked. It is possible that you do not consider any trifles: eat a couple of nuts, bite the partner's burger, finish the spoonful of soup for the baby. With such snacking it is easy to get a very decent amount of calories. Secondly, the mistake can be caused by laziness and reluctance to count calories. And this, by the way, is the most common mistake. No wonder, right? Honestly write down the calorie content of each piece you eat. You're not in school, no one will give you a bad grade for overeating. In the matter of losing weight, it's important to be honest with yourself. It is the only way to success. You eat too many healthy foods...what?! It is not necessary to count calories. You can provide scarce caloric content in other ways. For example, to refuse from refined sugars, fast food, fatty meat and similar products. This will help reduce the daily caloric intake of the diet without complicated calculations. But it's not so simple. Even with boiled chicken breast, rice and cucumbers, you can exceed the energy norm. And if you add to the menu such useful, but high-calorie nuts, avocado, red fish, vegetable oil, you can gain weight without cakes. Find out the caloric content of foods that you eat most often. Determine the optimal serving size to keep the deficit. This will help you in the future to control what and how much you eat, without weighing and counting. It would seem that everything is logical: the less you eat, the faster you lose weight. Therefore, you have maximally limited caloric content and wait, when the first cubes appear from under the fat layer. But too rigid diet is fraught with disruptions even for a man with a steel will. Most likely, you will still manage to lose weight. But as soon as you relax a little, the pounds will return and bring their comrades to your sides. Scientists call the result of hard diets "the effect of yo-yo": you throw a toy, and it certainly comes back to you. The same happens with weight. Recognize that losing weight is not a sprint, but a marathon. Therefore, you need to competently distribute your forces along all parts of the path in order to reach the finish line. Cut the average daily calorie content by 10-15% and do not rush things. You started going to the gym and think that now you have an indulgence for eating high-calorie cakes or fatty pork. But exercises in the gym do not spend as much energy as we would like. Very approximate calculations show, that for an hour of running at a speed of 8 km / h a person with a weight of 75 kg will burn about 600 calories, for an hour of active weightlifting - 225 kcal. The fact that all you spent for 60 minutes in the gym is easy to return for 5 minutes with one bun. When calculating the average daily caloric value, use the activity coefficient. The energy expenditure can be ignored, just do it for your own pleasure. Now you know the secret why those younger women dating older men look so good - they never break the rules from above! 0 Response to "Even the Most Zealous Workouts Will not Help You if You Violate These Rules"